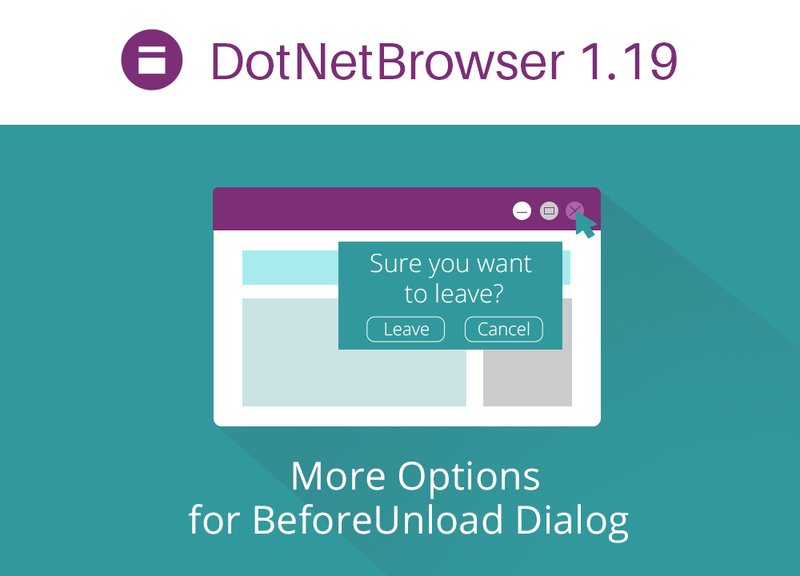 The new DotNetBrowser is available for download! This version allows to handle confirmation dialogs, shown when the user is about to leave the page. This update also includes a number of improvements and fixes adding up to stability and convenience of the library. Please visit the Release Notes page for detailed description of what was changed in v1.19. We welcome your feedback and questions via the support portal and under the #dotnetbrowser tag on Stack Overflow. Updating JxBrowser Big Time to Support macOS Mojave & OpenJDK 11! Java 11 has arrived. With the recent changes to Oracle JDK distribution and support, there’s been considerable uncertainty over the rights to use Oracle JDK vs Oracle’s OpenJDK builds. Many of our customers asked whether we are planning to support OpenJDK as well. 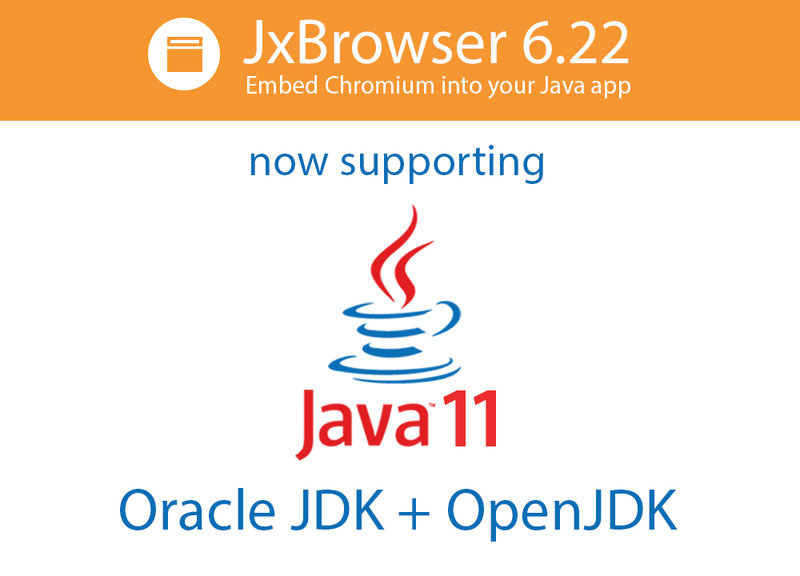 Today we are glad to let you know that now JxBrowser supports both Oracle JDK and Oracle's OpenJDK 11. And there's more! V6.22 also supports macOS Mojave, IME on Ubuntu, and is able of listening to Upload Progress Events. As usual, it got more stable with some fixes and improvements introduced. Have a look at the full change list and download your v6.22. We hope you enjoy using the new version as much as we did creating it! The new DotNetBrowser version supports Chromium 64-bit, and is capable of clearing HTTP Auth cache. It also got more stable and flexible due to a number of fixes and improvements. Please see the Release Notes for details. Got a tricky task for DotNetBrowser to handle? Try us out – we're eager for the new challenges! Summer months were quite fruitful for DotNetBrowser. 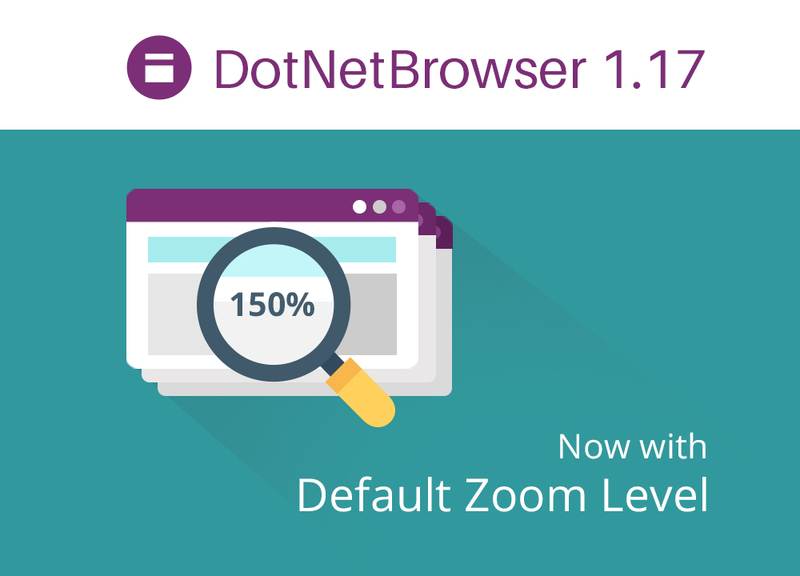 Newly released V1.17 features Default zoom level, Mouse input simulation, Upload progress notifications and more – picture what your .NET app could do with all the new options. See the full list of changes on the Release Notes page. We'd love to hear how else we can improve DotNetBrowser. Should you have any questions or suggestions, please drop us a line! 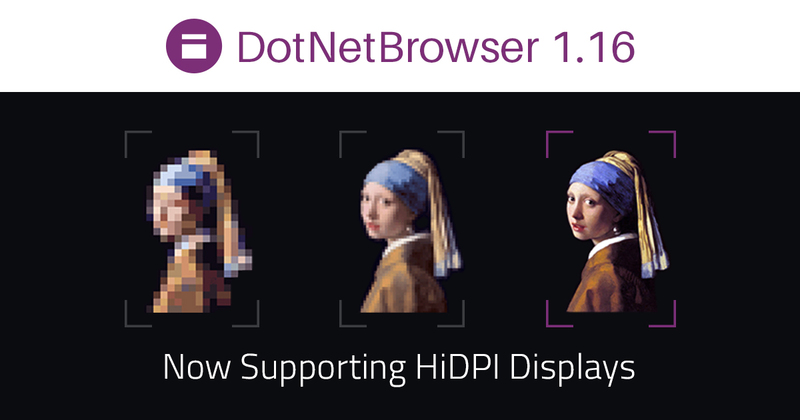 Have your users see every dot of your app crystal-clear: starting with v1.16 DotNetBrowser supports HiDPI displays in every DPI awareness mode. Moreover, this version introduces FIPS-compliance, and a whole bunch of useful improvements. See the full change list. If you feel, that DotNetBrowser can become even better, please get in touch with your comments and suggestions. An important #JxBrowser upgrade for Windows users: starting with this version library includes both Chromium 32-bit and Chromium 64-bit binaries. We also added support of HiDPI displays on Windows platform for Java 10. Download updated JxBrowser at: goo.gl/aK9Cuu. Good news everyone! 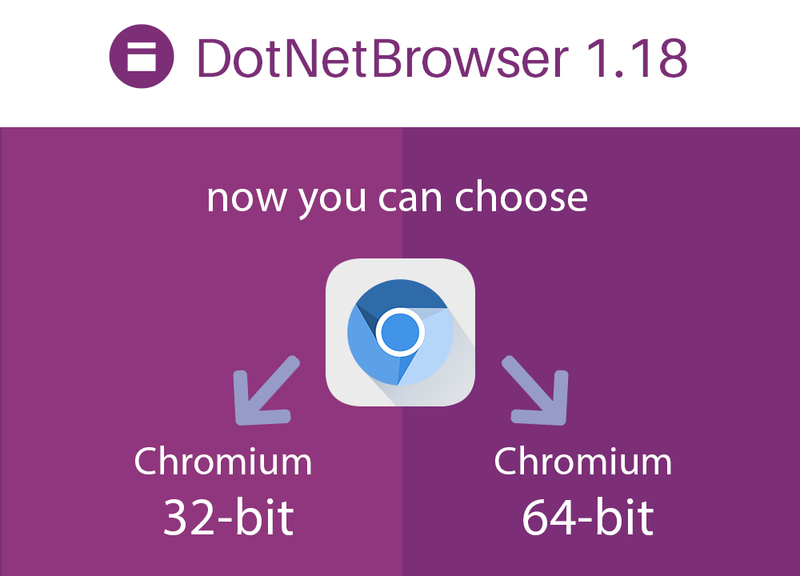 DotNetBrowser 1.15 is based on Chromium 64! 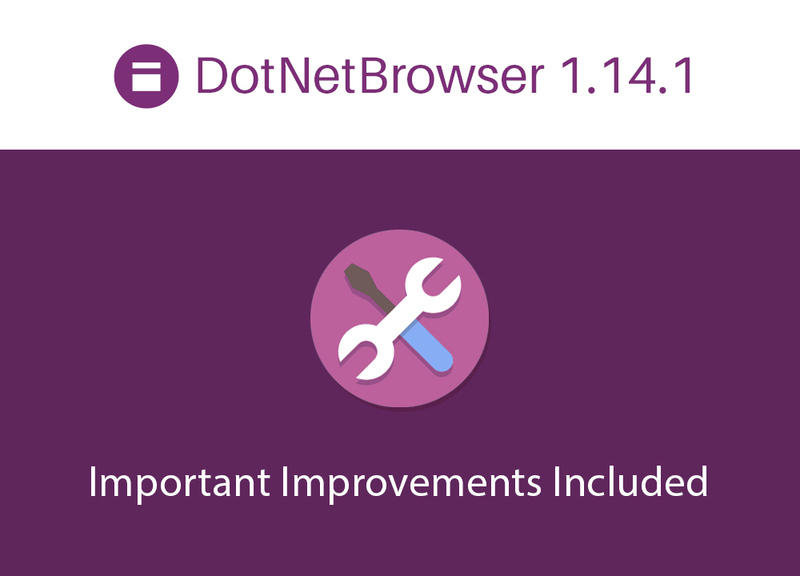 Take a look at the DotNetBrowser Release Notes for detailed information on the update. We're glad to announce, that the Chromium engine inside JxBrowser library was updated to v64. Apart from this, JxBrowser 6.20 features NTLMv2 support and a list of important improvements. See the full change record in JxBrowser Release Notes. The new version of the library features fixes for a number of reported issues, and a some improvements in key areas. Please update the DotNetBrowser in your application for better stability and convenience. See the details for this release at the Release Notes page.